Kitchen design trends, like fashion trends, can quickly change. The yellow cabinets and wooden countertops popular in the 1970s are an outdated embarrassment compared to the sleek, textured cabinets and quartz countertops that are popular in contemporary kitchen design. Although style trends often change over time, there are certain kitchen themes that designers use over and over again, but what makes these styles stand the test of time? Which Kitchen Suits Your Style Best? 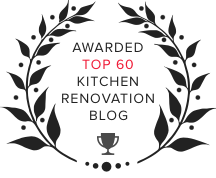 Here, we'll give you the top five kitchen styles of all time, from traditional to modern, and a few in between. 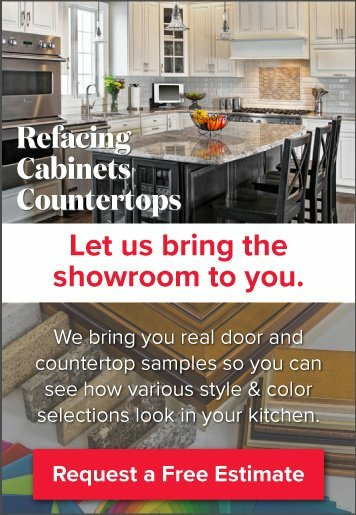 We’ll also be offering up design tips to help you determine which kitchen style is right for you and to make the most of each look. Remember: picking a kitchen style is a personal experience, and there is no right or wrong answer when it comes to your individual likes and dislikes. 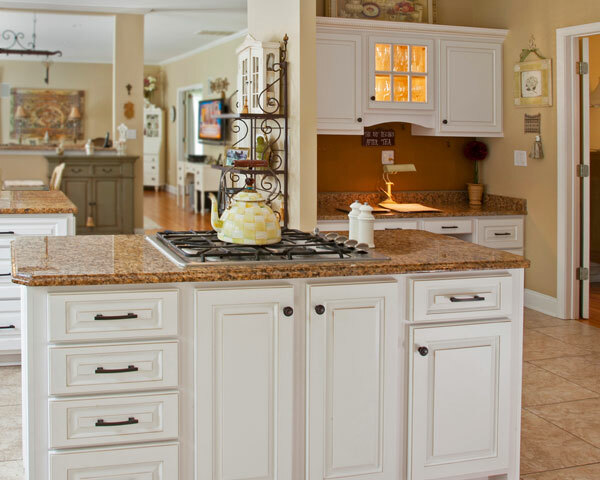 The traditional, or classic kitchen style is the most popular, because—you guessed it—it never goes out of style! The trick to designing a traditional kitchen is to pay close attention to the details. Classically designed kitchens tend to use crown molding, archways, corbels and wainscoting to add additional style to ‘safer’ cabinet and countertop choices. 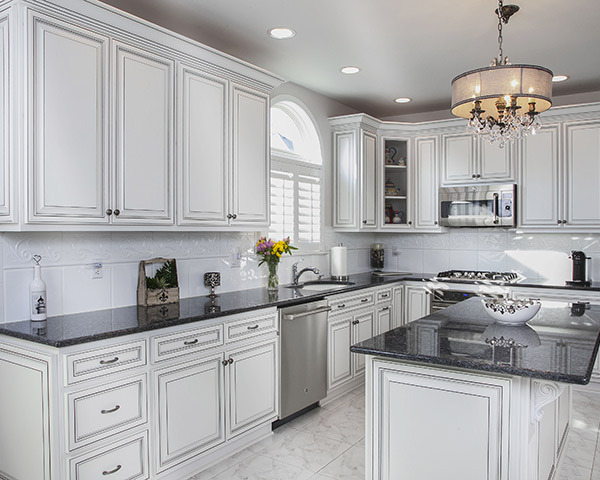 Traditional kitchens were traditionally thought of as donning natural wood cabinet finishes, but white and other colored cabinets have moved into the realm of this classic design style. This white kitchen uses elaborate crown molding and a black glaze to compliment the Vintage style door. Paired with black granite countertops, the white cabinets make for a classic "tuxedo kitchen" look. Directly opposite traditional designs, we find the modern and contemporary kitchen styles. One of the definitive features of modern design is clean, minimalistic lines. This open, linear style of design can be achieved by using simple elements and accessories that let the materials shine through. This modern kitchen has frameless, Cherry cabinets in Prestige Plain style, with simple black pulls that compliment the black and stainless steel appliances. The Cambria quartz countertops in creamy Windermere attract the eye with their sheen, and with their contrast to the darker cabinets. 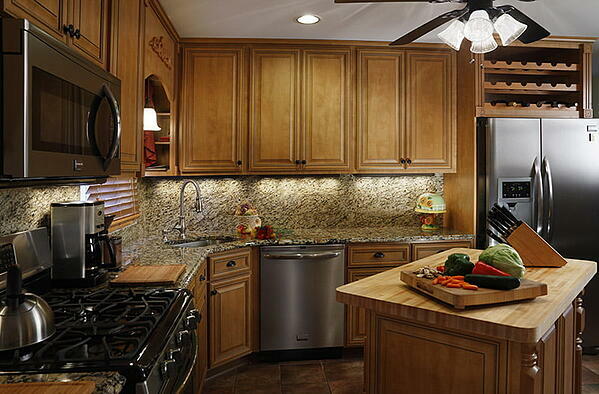 Craftsman kitchens are all about natural designs. Think rich woods that highlight the natural look of cabinetry, and custom features that add a personal touch to the kitchen. 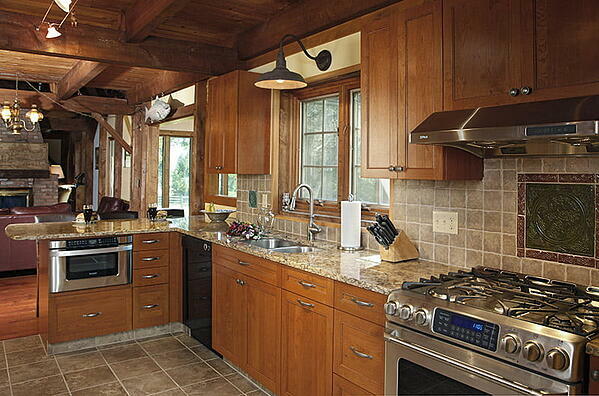 This kitchen achieves the craftsman look with Dark Wild Apple cabinets with a Brown Glaze and Vintage style. The custom additions and built-ins add a handcrafted touch to cabinets that compliment the granite countertop and backsplash. The farmhouse kitchen is all about open space and natural light. Light, warm colors and soft honey neutrals combine with wide sinks and large islands to create a space that is comfortable and inviting. The farmhouse kitchen is a lot like the traditional kitchen, but with a bit of country flair! 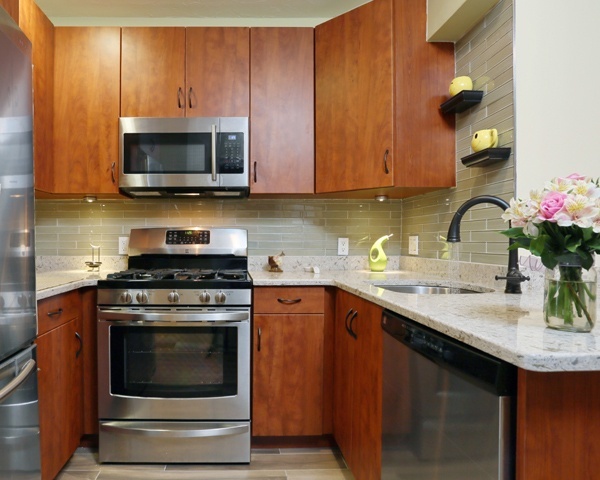 This kitchen has Winter White cabinets with a Walnut Glaze in a Classic Square style. The elaborate cabinet style, paired with the soft, white color, attracts natural light without making the room itself look too bright. Some additional important design features in a farmhouse kitchen are large, shaded light fixtures, glass paned cabinet doors, and farm-inspired decor. Rustic kitchen styles bring a real personality to the rest of your home, but this type of style must also fit well with the rest of your home. Vintage cabinets, darker colors, brushed metals, and distressed furniture detailing are what make a rustic kitchen cozy. The Harvest Gold on Cherry cabinets in Madison style matches the exposed wood on the ceiling. The Cambria countertop in Buckingham gives the kitchen an upgraded look, while still adding to its rustic charm. While these five kitchen styles are used often by designers and homeowners, there are endless design combinations that you can use. So, if you are torn between a couple of these options, go ahead and merge them into your own unique dream-kitchen design. Contact Kitchen Magic for a free in-home consultation, and one of our design experts will help you find the kitchen style that speaks to you.